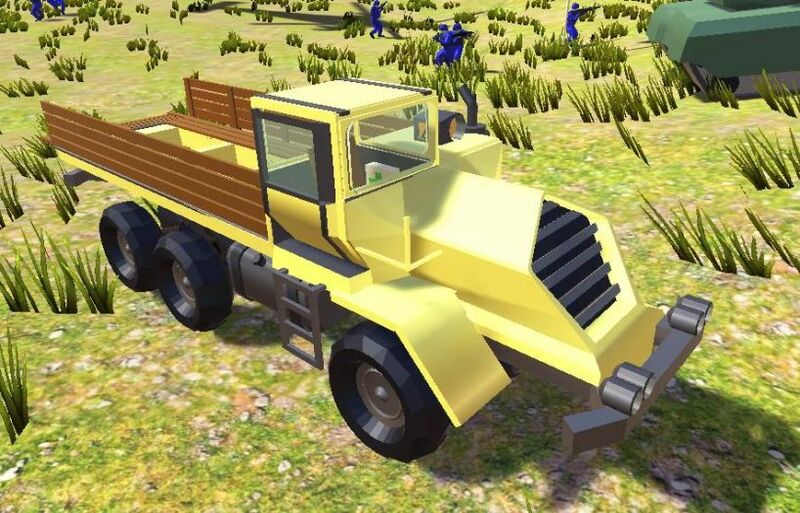 The 6x6 Transport Truck is also known as the Truck that built the Falcon Kingdom. Not only sold to and used by the Falcon, Raven and Eagle Forces, it was widely used by civilians from each of the great nations too. Many thousands of examples were built by the Falcons alone, and licences were also sold. When used by Armed forces, it could be fitted with a wide array of weaponry and reconfigured for any multitude of tasks. It ultimately became the go-to vehicle of choice for all armies, everywhere, netting the Royal Falcon Armoury a tidy profit. The 4 examples contained within this pack were either used or captured by the Aldertaz Battalion during the Battle of Falcon's Pride. 6x6 Transport Truck: The standard outfitting of the truck allowed for infantry to be transported over long distances to the battlefield. 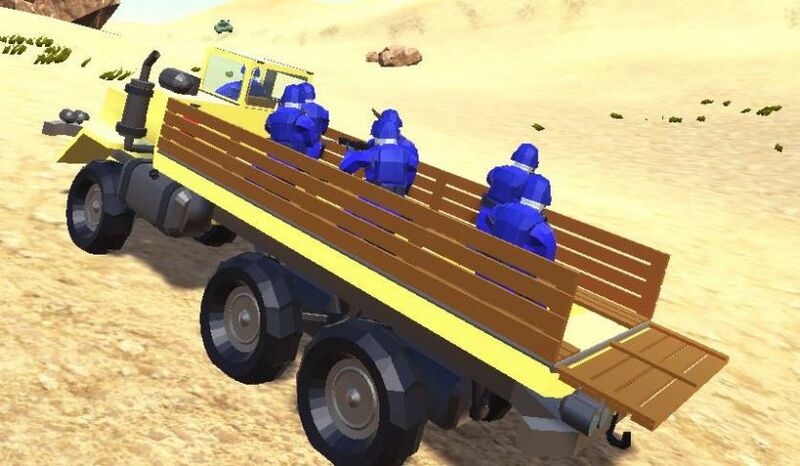 This example is capable of transporting 6 soldiers and a driver. 6x6 Mortar Carrier: A mortar was attached to this example to allow for mid-range fire support. A radio was also attached allowing for fire-support requests to be recieved in and fire corrections made. a Mk-32 was also attached for close range defensive purposes. 6x6 Field Gun Carrier: A 94mm field gun was mounted on the rear of this variant to destroy enemy emplacements and force them out. It was also partially effective against armoured vehicles with its HEAT shells. 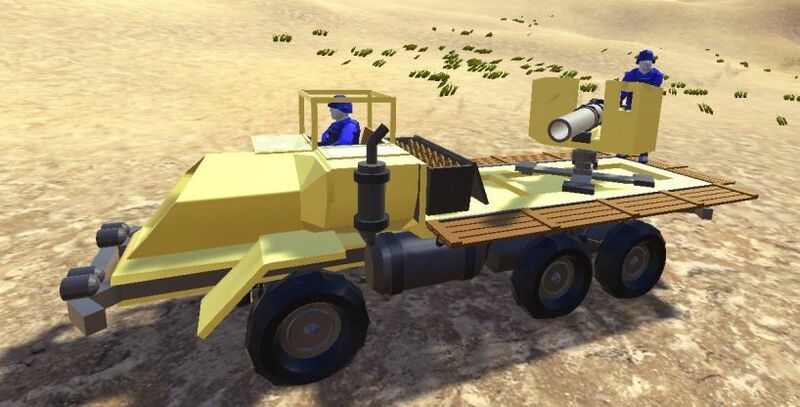 But if you saw this rolling up and aiming at your fortification, you are quite simply, doomed. 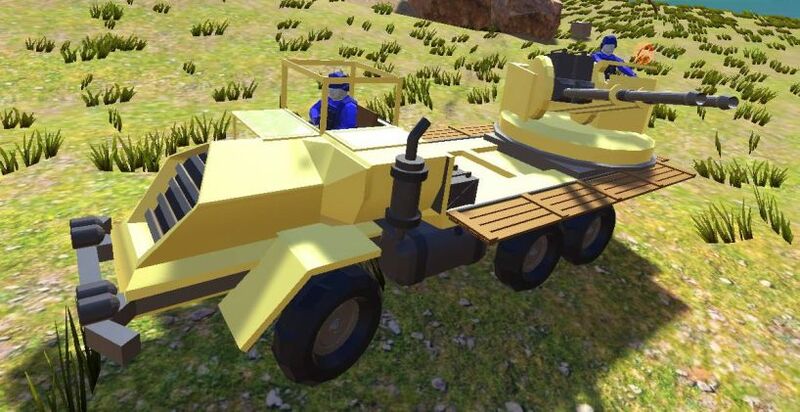 6x6 Anti-Aircraft Truck:With a rapid firing dual-30mm gun mounted, this is more than a match for any flying craft that dares get in too close. Not only could it rapidly disassemble an aircraft, it could also decimate infantry, with its sheer power and fire rate, it is the ultimate tool of demoralisation. Want to know more about the Battle of Falcon's Pride? Soon you can experience it directly for yourself! Falcon Map is now going to begin full development!